DAY 1 SATURDAY EMBARKATION IN DUBROVNIK (Gruz harbor)Embarkation starts from 11:00 onwards. Meanwhile you will be served a welcome drink and a snack, and get a chance to meet your Cruise Director and the crew of “Adriatic Pearl”. Captain’s orders and safety measures will be explained to you. Later that night you will have a dinner on board. Overnight in Dubrovnik. DAY 2 SUNDAY DUBROVNIK – KORCULAIn the morning after breakfast, you will be transferred to the Old Town gate where you will be joining guided tour of Dubrovnik. Our local expert will show you around this fascinating world-known landmark, an ancient town protected by 13th century fortifications. Dubrovnik was for centuries a standalone Republic and the only power able to compete with the Venetians. In the early afternoon we will depart for the island of Korcula, on the way to Korcula we will have a short stop for swimming and relaxing on one of the beautiful Elafiti Islands. 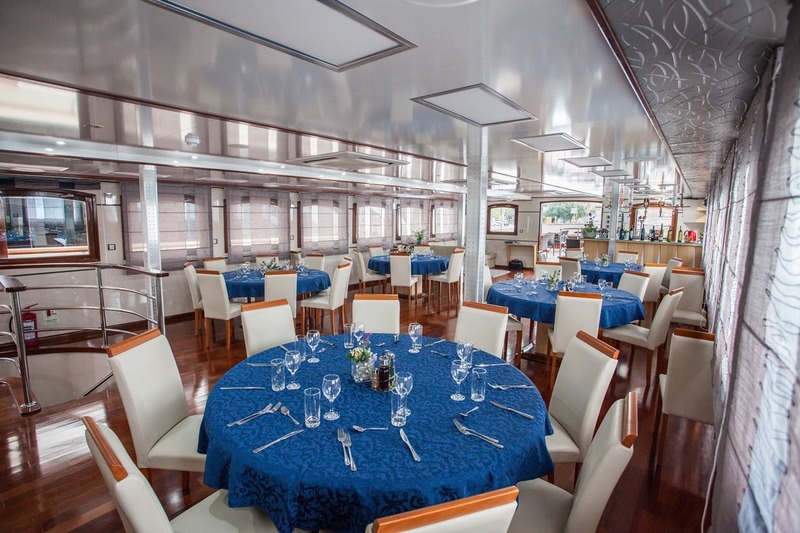 Lunch will be served on board before the late afternoon arrival to Korcula, the alleged birthplace of the famous explorer Marco Polo. After arrival guide will take you for a walk around the town of Korcula. You will hear of its long history, ingenious building strategies, peculiar building layout and a legend of a great merchant traveler Marco Polo who was born and spent his childhood in the streets of Korcula. Overnight in Korcula. After breakfast you will join our excursion to Sibenik, Skradin and Trogir. Leaving Omis ride by coach through the karst Sibenik hinterland to Skradin.Skradin is situated on the upper end of Krka estuary on the entrance to National Park, free time for exploration. After Skradin we will make a short stop in the town of Sibenik with an orientational guided tour of the old town of Sibenik. Before arrival to Split we will make another quick stop in Trogir which is situated on a small island and squeezed in between the mainland and the larger island of Ciovo. Except for the green parks the entire island is occupied by spectacular constructions of stone-houses, palaces, churches, monasteries, towers, walls etc. You will have free time to pay a visit to the main attraction in Trogir – the Cathedral of St. Lawrence which is probably the finest example of sacral architecture in Croatia. Finally we will be arriving to Split Old Town and you can join an optional walking tour with the local guide who will show you monumental Diocletian Palace which was built over 1700 years ago. During the centuries the Old Town has grown into the palace and around it, creating a unique urban landscape. Because of its historical and architectural importance, the whole Old Town is part of the UNESCO’s List of World Cultural Heritage. Later you can just join locals enjoying a cup of coffee on their much beloved seaside promenade. Dinner on board and overnight in Split. 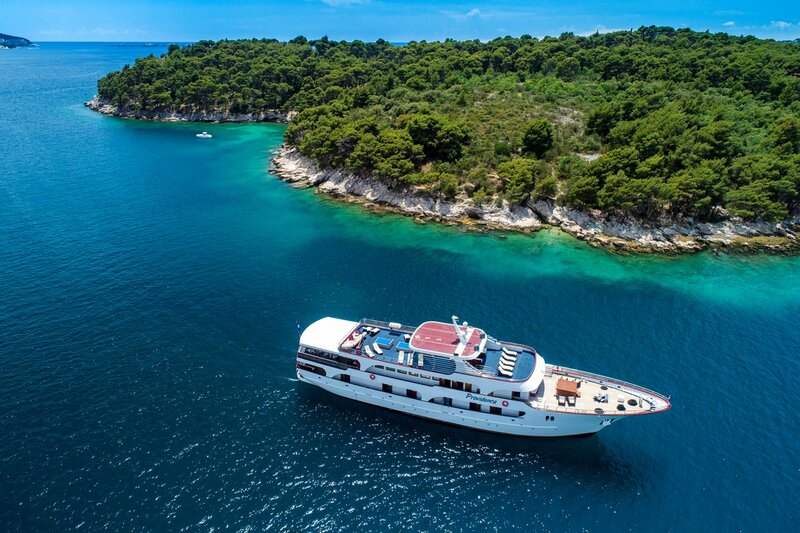 Today you will be sailing towards Hvar, known as the sunniest island in Croatia, famous for its endless fields of lavender and rosemary, its beautiful coast and lovely historical towns. Your destination is the town of Hvar, a town of immense beauty that buzzes with vibrant energy in the summer sun. Upon arrival, our expert local guide will take you for a walk around the ancient streets of Hvar. After the guided walking tour of Hvar we will set sail to Korcula Island. Along the way we will stop for a swim near beautiful islands (Pakleniotoci), known by very warm sea. After the swimming break the Dalmatian fried fish will be served for a snack. Arrival in Vela Lula (Korcula Island) in the late afternoon. Overnight in Vela Luka (Korcula Island). After breakfast you are free to take an optional ($) guided tour Taste of Dalmatia –you will visit Ston, small town famous of its 5 km long city walls (the longest one in Europe) and visit local winery where you will have opportunity to taste some finest Dalmatian wines. Later, we set sail to Dubrovnik and cruise beneath Dubrovnik City Walls and then to port Gruž. Overnight in Dubrovnik. After your last breakfast on board disembarkation follows by 09:00 AM. It is time to say farewell to your fellow travelers, your Cruise Manager and the crew of M/S PROVIDENCA. On the main deck and the upper deck there is one bathroom with showers. Upper deck houses a fully air-conditioned salon-restaurant that sits all guests at the same time with a fully equipped bar and LCD TV. 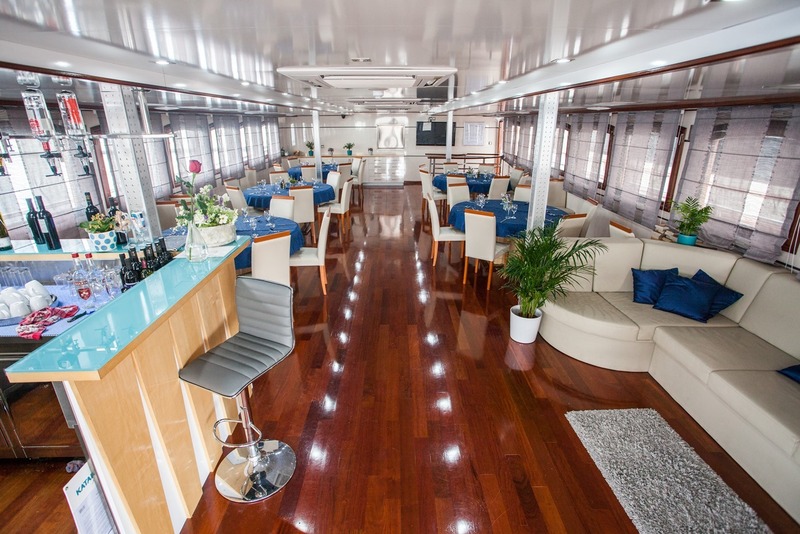 At the rear of the boat you can find a shaded lounge area with club tables and comfortable sofas. 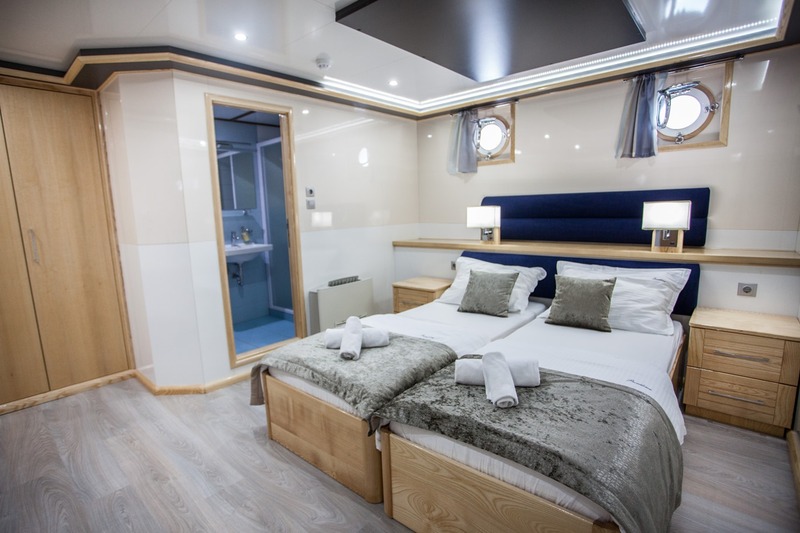 Top deck, also called the „sun deck“ offers 145 m2 of space and is equipped with sun tanning chairs, and jacuzzi also WIFI is available free of charge in the salon and in the rear part of the boat.